When Costco stopped carrying the Paul Newman balsamic vinaigrette, I was disappointed. That was the best store-purchased dressing I had found. But I admit the new Kirkland Balsamic Vinaigrette tastes better. I remember when my Mother started buying salad dressing. I loved her homemade dressing. and I didn't understand why she would buy the obviously inferior manufactured dressing. I guess it's an age thing; I have the ingredients for making my own, but it's just easier to use a dressing that's already concocted. Besides, I like this dressing so much I can drink it. 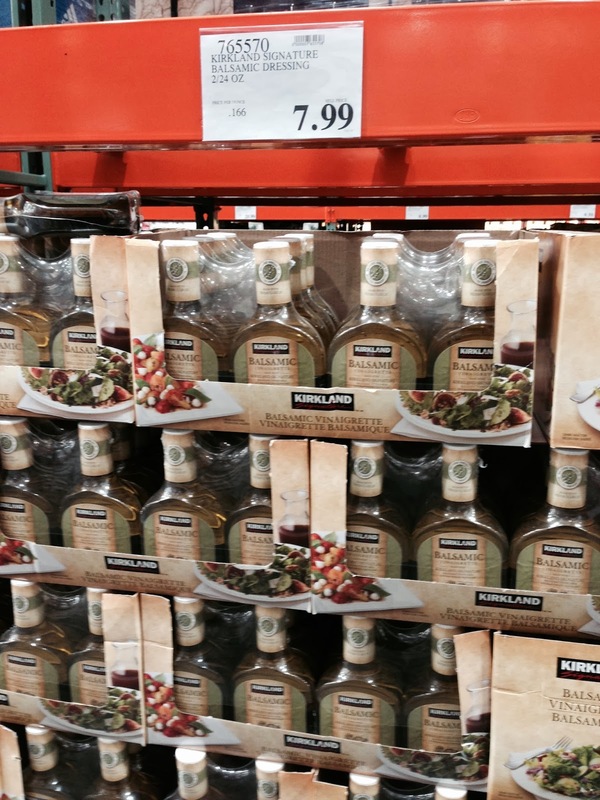 The Kirkland Signature (Costco) Balsamic Vinaigrette salad dressing comes with two 24 oz. bottles shrink wrapped together. I paid $7.99 for the two. I use the Kirkland Signature Balsamic Dressing on salads, marinades and roasted vegetables, and I hope fervently that Costco keeps this item. I love your use of the technical term "gloopy". Costco quit carrying the Milton multigrain crackers and now have a brand of their own. I still prefer the Miltons, but i will certainly try the new balsamic Dressing. Thanks for the comment on the crackers, I didn't realize that!